The Seattle Times Seahawks beat writers handing out awards after three weeks of Seahawks' training camp. 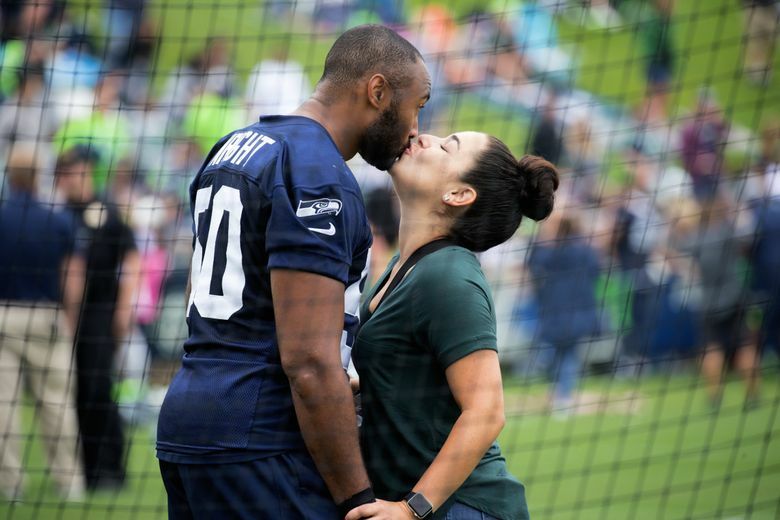 Thursday marked the official end of Seahawks training camp, which for the players mostly means no longer spending nights in a hotel, as the work of preparing for the season continues. 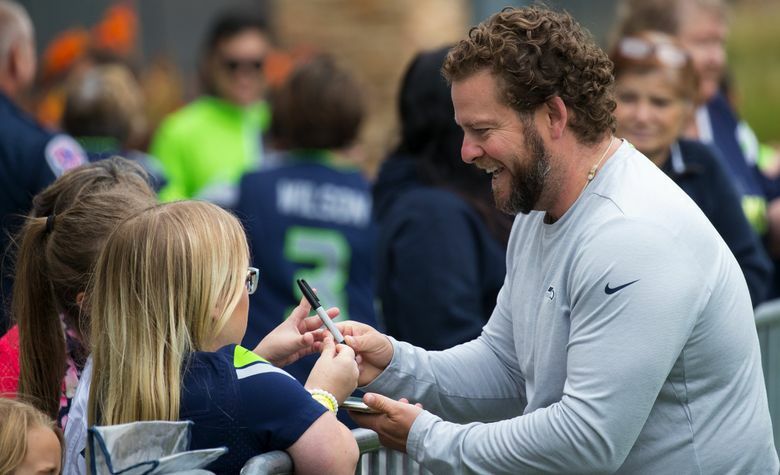 But the end of camp also allows Seahawks beat writers Bob Condotta and Mike Vorel to hand out a few awards and thoughts on what they saw during the team’s 14 open training camp practices. 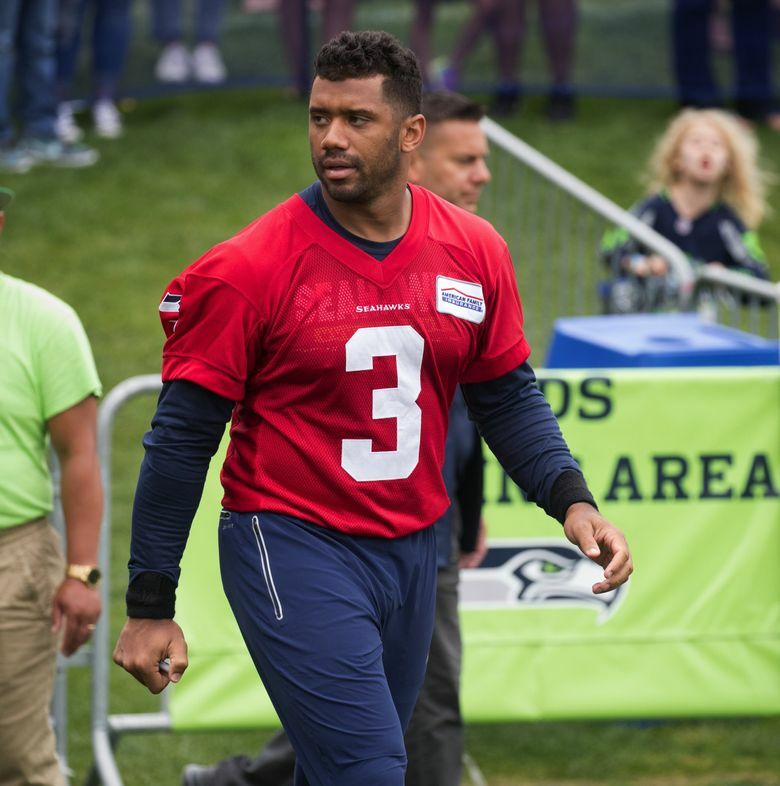 Mike Vorel’s pick — QB Russell Wilson: It’s best not to overthink this one. 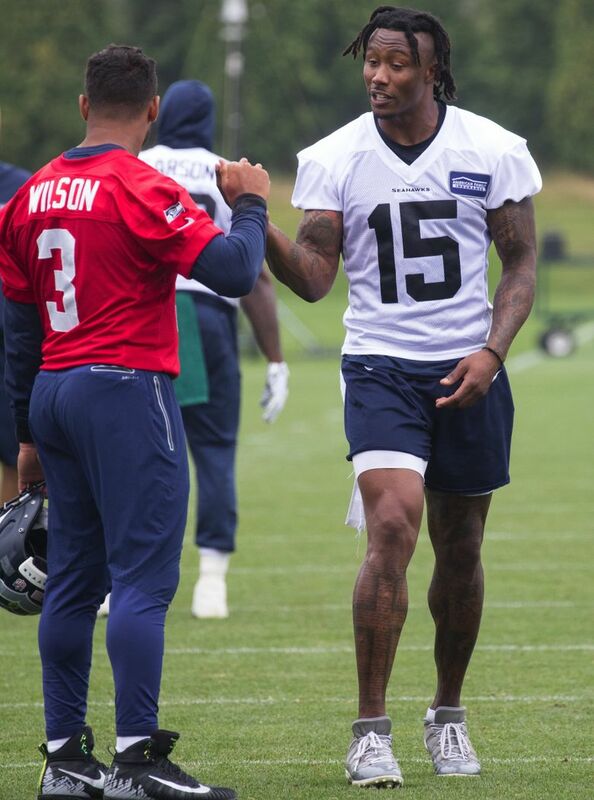 Wilson may be the best player on the Seahawks roster, and he has shown that throughout training camp. Despite being handed a seemingly unending rotation of eligible wide receivers, the seventh-year quarterback has been accurate and efficient in the passing game. Meanwhile, his leadership is unquestioned in the middle of a young offense. Wilson was 4-5 for 43 yards and a touchdown in his lone drive in last week’s preseason opener. We’ll see if he can top it against the Chargers on Saturday. Bob Condotta’s pick — RB Chris Carson: Wilson’s been great, no doubt. 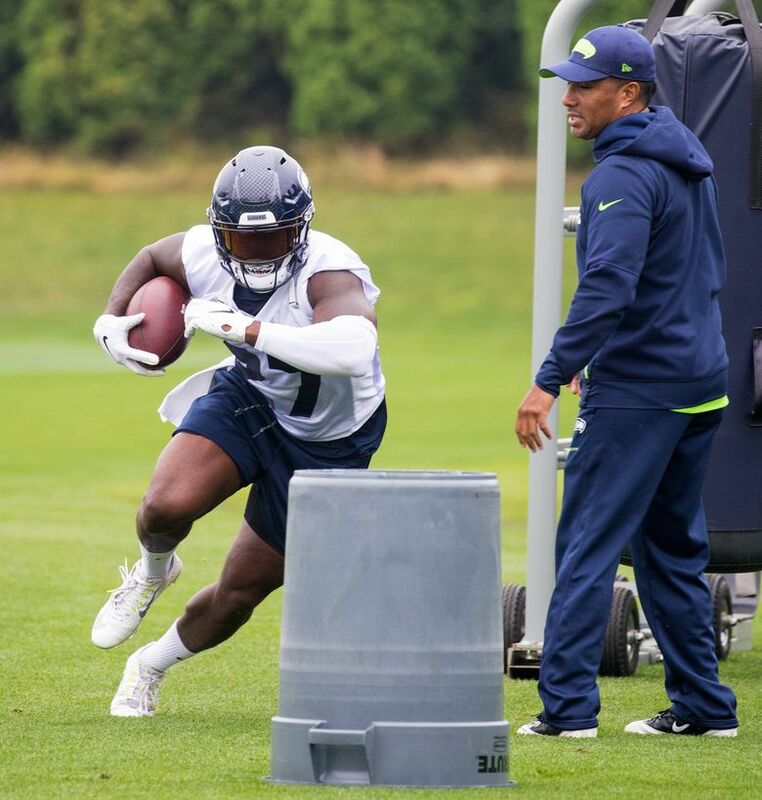 But in something that could help Wilson be even greater, second-year running back Carson has looked throughout camp like he has a chance to be the team’s best tailback since the Marshawn Lynch days. There’s a long ways to go for that to be proven, of course, and Carson has to stay healthy. But he’s looked the part in practice, having been durable and productive throughout, and also playing well against the Colts with 26 yards on four carries. Vorel’s pick — TE Will Dissly: It’s hard to imagine that, as recently two years ago, Dissly was still a defensive end at the University of Washington. The 6-foot-4, 265-pound tight end has impressed in his first NFL training camp, earning added reps as presumed starter Ed Dickson nurses a quad injury. Dissly’s blocking ability was already established, but the Montana native has been a regular contributor in the receiving game as well. He’ll likely make Seattle’s 53-man roster as the team’s third tight end. 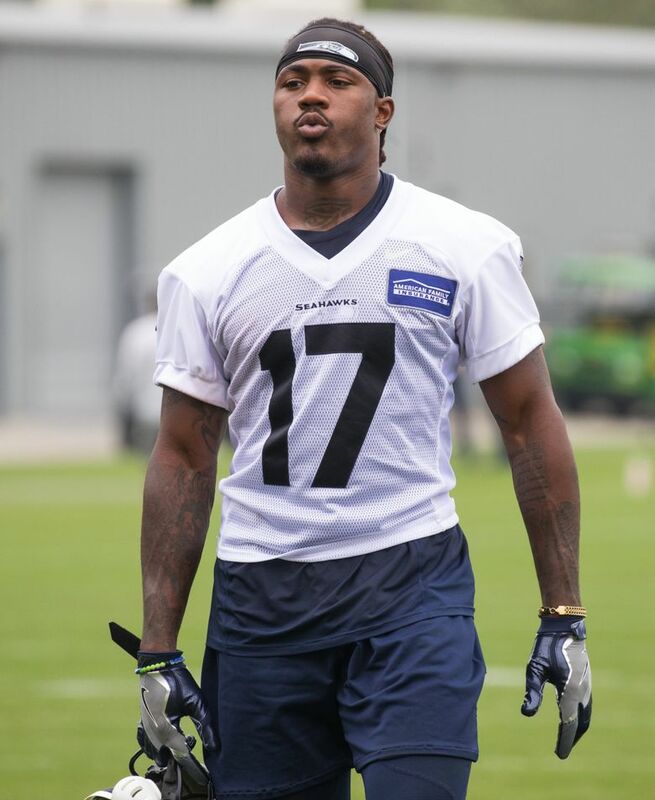 Condotta’s pick — FS Tedric Thompson: If the season began today Thompson would be the team’s starting free safety in place of holdout Earl Thomas, which isn’t necessarily what the conventional wisdom was when camp began three weeks ago. That could still change if veteran Maurice Alexander gets healthy and the team decides to team him with Bradley McDougald instead — which at the moment seems like the only other logical option. But Thompson impressed early with a string of big plays in practices and has been consistently running with the starting defense for the last two weeks after playing just eight snaps last season as a rookie. For now the job appears his. 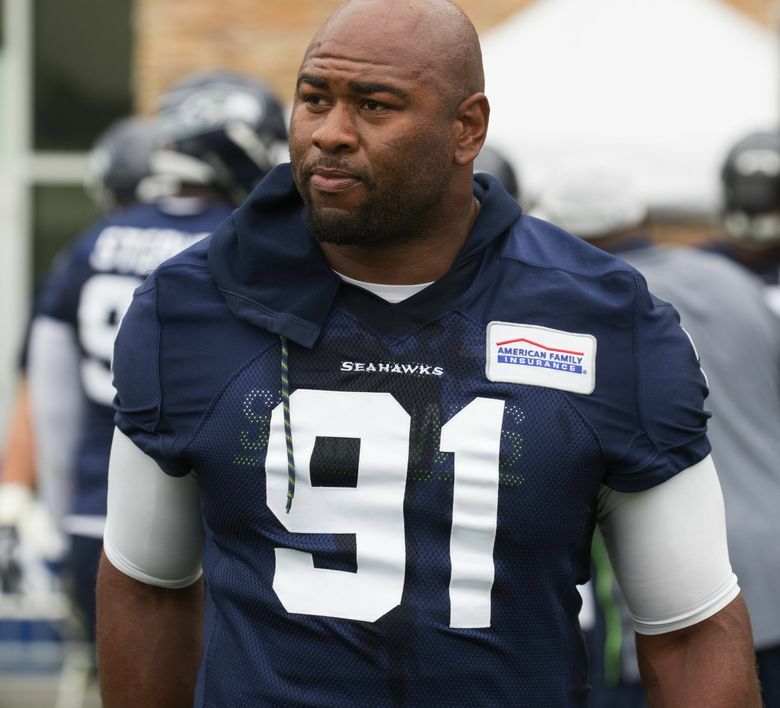 Vorel’s pick — DE Rasheem Green: The Seahawks are in desperate need of a pass rush. And in the preseason opener, at least, Green provided it. The 6-4, 279-pound defensive end led the team with 1.5 sacks in last week’s loss to Indianapolis. He has been a consistent performer in practices as well. And, with veteran defensive end Dion Jordan’s future clouded because of a stress reaction in his shin, Green could be on the receiving end of regular reps during the regular season as well. Condotta’s pick — LB Shaquem Griffin: Griffin’s gripping story of perseverance and the heart-tugging sight of him playing alongside his twin brother Shaquill in the Seattle defense may lead to some danger in overstating his accomplishments on the field. 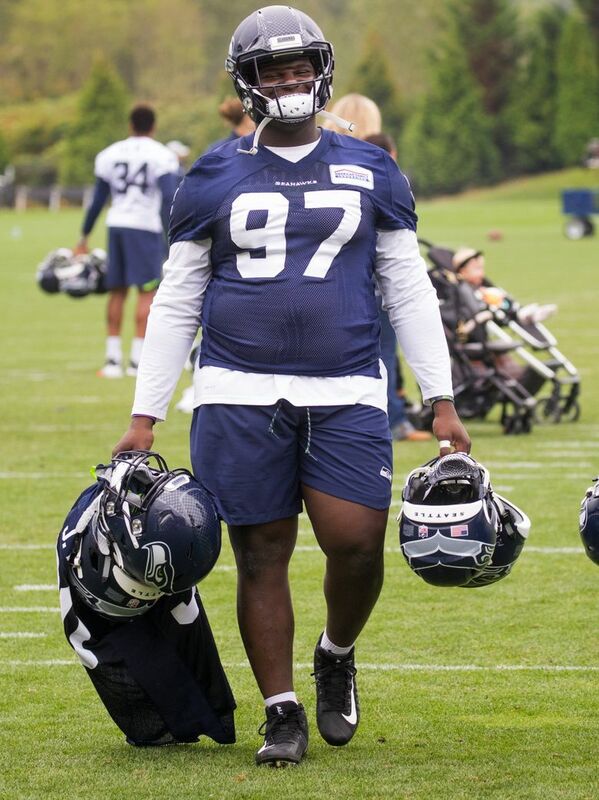 Both coach Pete Carroll and defensive coordinator Ken Norton Jr. seemed to take steps this week to temper expectations for Griffin. But strip away the name and the story and Griffin has been plenty good enough the past three weeks. He had a team-high nine tackles against the Colts and his speed has resulted in daily eye-catching plays on the field. Griffin may not have a regular role on defense this season but projects to at the least be one of the team’s core special teams players, which for a fifth-round pick is not a bad place to start. 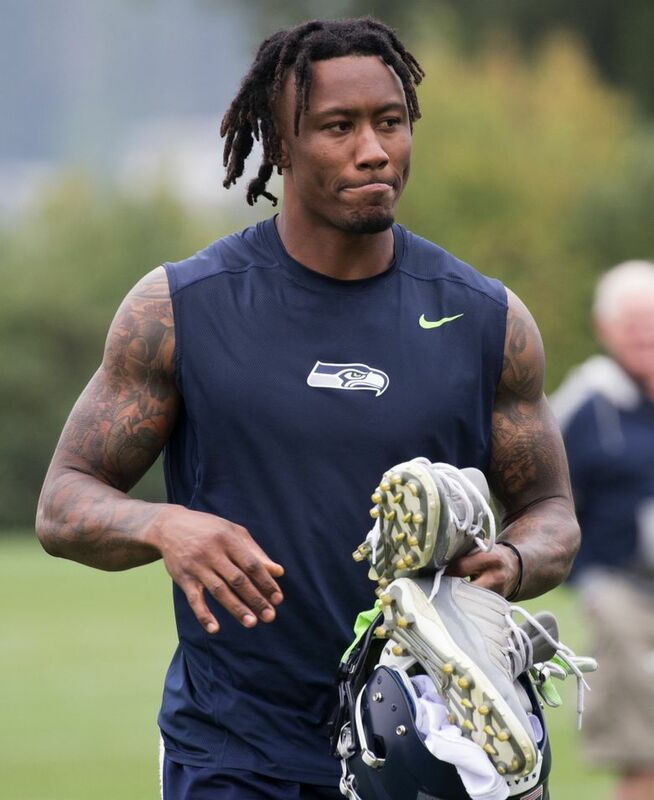 Vorel’s pick — WR Brandon Marshall: Marshall has certainly looked the part in practice, stacking up back-shoulder touchdowns in red zone drills from quarterback Russell Wilson. At this point, it’s impossible to know whether that production will translate to the field. The 34-year-old Marshall, who had ankle and toe surgery last season, is continuing to build his endurance as the regular season nears. The hope is that, at the very least, he can provide a physical target near the goal line. But is it a fool’s hope? Time will tell. Condotta’s picks — RB C.J. 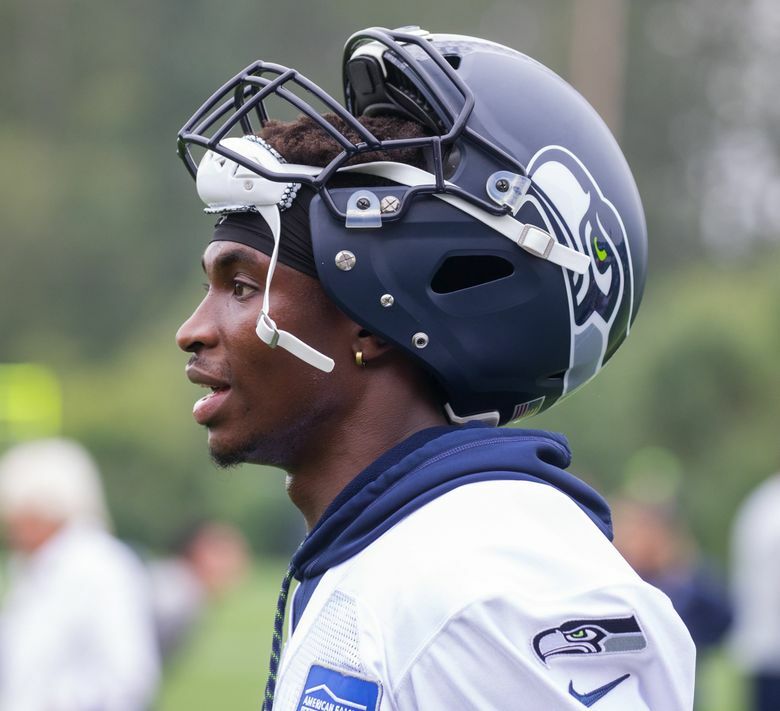 Prosise and WR Amara Darboh: This is the year the Seahawks are hoping to find out what they truly have in two players they spent third-round draft picks on in 2016 and 2017, respectively. 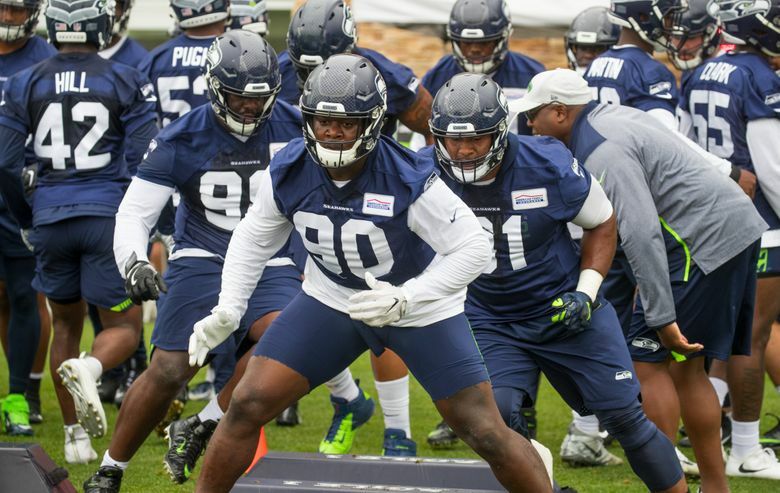 But while each has shown flashes in camp of what drew the Seahawks to them in the first place, each also has battled nagging injuries that kept them out of the first preseason game and has it unclear what their roles will be on the 2018 team, if any. The next three weeks loom critical for each. 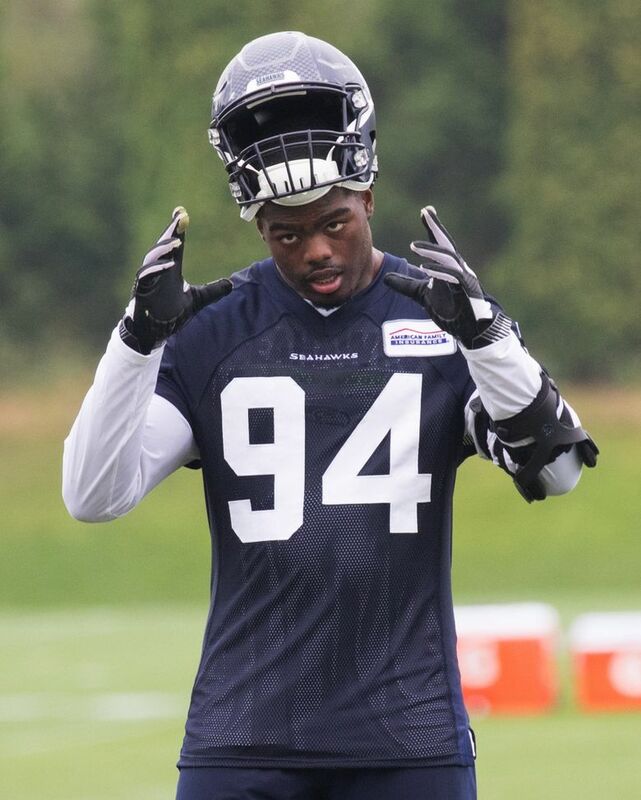 Vorel’s pick — Right cornerback: When he hasn’t been sidelined with hip and groin injuries, Byron Maxwell has assumed his familiar starting role opposite Shaquill Griffin. But might free agent signee Dontae Johnson or rookie Tre Flowers be able to push Maxwell for that starting spot? Flowers, who started last week’s game against Indianapolis, has shown promise in his first NFL training camp. But, considering his contract and proven production, it’s still Maxwell’s job to lose. Condotta’s pick — Receiver: Doug Baldwin, Tyler Lockett and Jaron Brown are locks. But the makeup of the final three spots or so appears almost totally up for grabs among about seven other players who during any given practice have looked like totally legit candidates to make it. Marshall has taken huge steps toward also earning a spot though it’s probably not a complete lock until the team feels confident he can handle a consistent workload. And David Moore at this point also appears more likely than not to make it. But guys like Darboh, Marcus Johnson, Keenan Reynolds, Damore’ea Stringfellow and Tanner McEvoy (who remains prominent on special teams) all remain in the running. Vorel’s pick — Fullback: Remember the first day of training camp, when three fullbacks — Tre Madden, Khalid Hill and Jalston Folwer — were supposedly competing for one roster spot? That feels like a very long time ago. The fullback competition never got off the ground, as both Hill and Fowler were sidelined and eventually waived with injuries. Unless the Seahawks sign another fullback, it appears Madden will be back for a third season in Seattle. Condotta’s pick — Backup QB: Okay, I guess it depends on what you mean by compelling. Certainly, there remains a competitive battle between Austin Davis and Alex McGough. 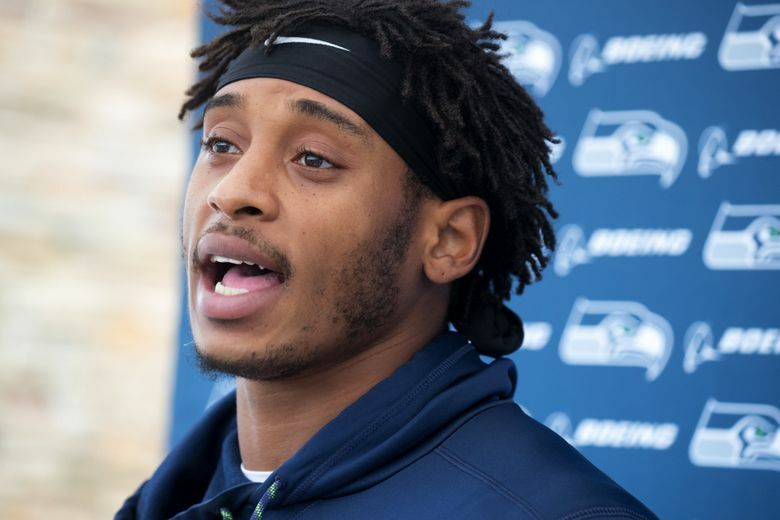 But the play of each last week against the Colts did nothing to dissuade the idea that the Seahawks will continue to look for other options at the position. Condotta’s pick — “Well, you know, he’s been here for a long time and we always expect him to be here. That’s kind of how it is. So, he should be here, and he’s not. It’s really about the guys who are here now and we’re just going to keep moving and grooving and putting it together. 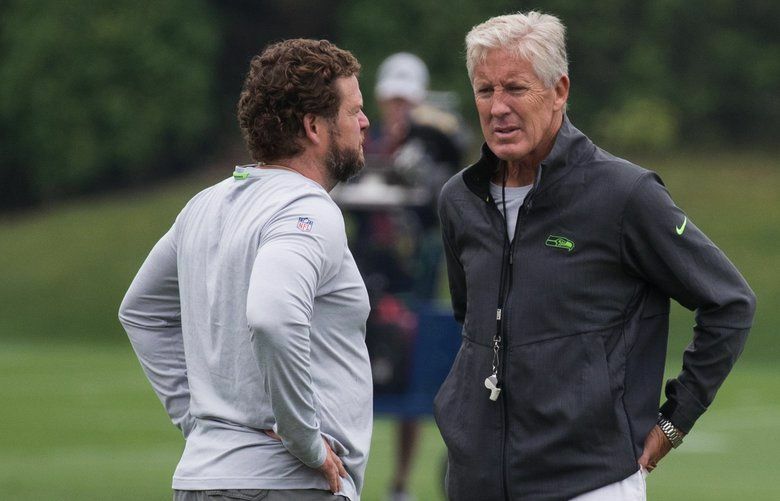 It’s unfortunate,’’ — Pete Carroll when asked about Earl Thomas’ holdout on the first day of training camp on July 26. Thomas remained holding out as camp ended.